Lanton launched Leedership Consulting in February 2018 after spending the past 15 years working for Kiwanis International in Indianapolis, Indiana. Lanton served as an Area Director where he supported the club strengthening and club opening for numerous districts over nine years working from his home in Columbus, Ohio. Previously, Lanton served in Indianapolis as the Director for Kiwanis Youth Programs and supported a team that was responsible for Key Club International, Key Leader, Builders Club, Kiwanis Kids, Aktion Club, and Kiwanis branded service programs. Lanton launched Leedership Consulting in February 2018 after spending the past 15 years working for Kiwanis International in Indianapolis, Indiana. He served as an Area Director where he supported the club strengthening and club opening for numerous districts over nine years working from his home in Columbus, Ohio. Previously, Lanton served in Indianapolis as the Director for Kiwanis Youth Programs and supported a team that was responsible for Key Club International, Key Leader, Builders Club, Kiwanis Kids, Aktion Club, and Kiwanis branded service programs. During that time he helped lead a team that developed the Kiwanis Key Leader program (key-leader.org). Lanton served as the Interim Director for Circle K International (CKI) in 2007-08 and helped develop the CKI Leadership Academy. In July 2018, Lanton began serving as the Executive Director for the Ohio District of Kiwanis International. Prior to working at Kiwanis International, Lanton worked in Student Life at Arizona State University as the Executive Coordinator for Associated Students. He has also worked as the Director of Student Activities at Kenyon College and as Assistant Director of Student Organizations and Activities at the University of Cincinnati. Lanton has been involved with the Kiwanis family for 36 years. He was a member of the Lexington High School Key Club, The Ohio State University Circle K Club, Kiwanis Club of Clifton in Cincinnati, Kiwanis Club of Mt. Vernon, Ohio, the Kiwanis Club of Tempe, Kiwanis Club of Rio Salado, Tempe and the Kiwanis Club of Pike Township in Indianapolis. He has served as a Club President in Key Club, Circle K, and Kiwanis. He has also served in numerous other leadership roles including Ohio District Circle K Governor, Ohio District Circle K Administrator, Kiwanis Advisor for the University of Cincinnati Circle K club, Kenyon College Circle K club, IUPUI Circle K club, and Faculty Advisor for the Arizona State University Circle K Club. Lanton holds a Master of Business Administration degree with a concentration in management from the University of Cincinnati and a Bachelor of Business Administration degree with a concentration in human resource management from The Ohio State University. Lanton lives in Columbus, OH with his wife Lori, daughter Margaret and son Landry. He is a member of the Kiwanis Club of University, Columbus and the Kiwanis Club of Hilliard. He is an active alumnus for The Ohio State University serving as board member and scholarship committee chair for the Circle K Alumni Society. He also serves as a board member and secretary for the Progressive Osseous Heteroplasia Association (POHA) and board member for the Heymann Historical Society. In his free time, he enjoys leading and co-hosting CletusFest: The Ultimate Buckeye Tailgate which has been providing tailgate parties for 30 to 100 people for the past 24 years at The Ohio State University football games. Leedership Consulting was founded in February of 2018 by Lanton Lee. 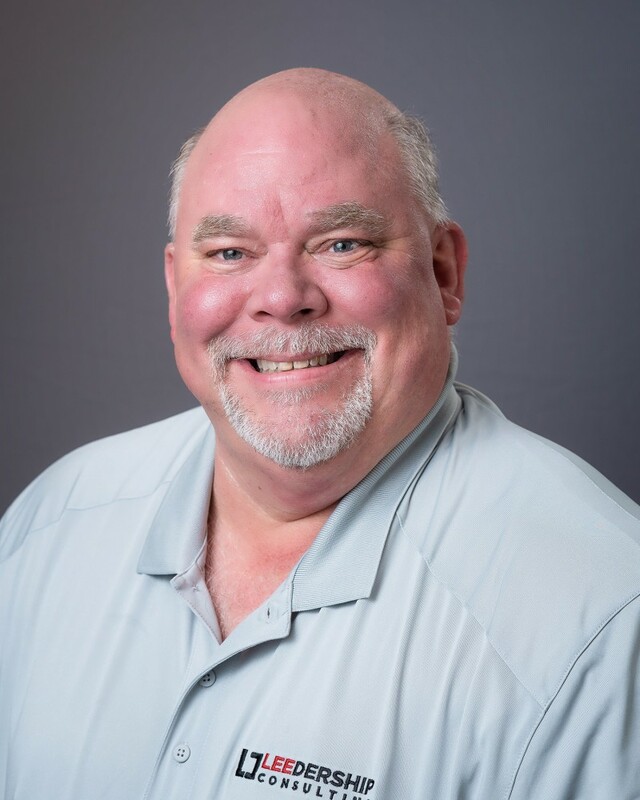 After thirty-years working in the non-profit and higher education environment, Lanton took his passion for leadership and helping others to provide consulting to individuals, organizations, and businesses. Lanton believes in servant leadership. One of the key principles of servant leadership is to make sure that whatever you are doing – do it while helping others. This will allow your organization to become better. Lanton believes that everything starts with a conversation. These conversations create connections, and connections create and improve community. Our passion is bringing people together through conversations which lead to connections that will improve our community. Leedership Consulting provides individuals, organizations, and businesses the support needed to accomplish their goals. Our services range from keynote speaking, training, presenting or facilitating to assist the planning of your next event or fundraiser.